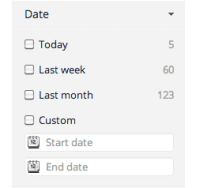 Right now you can select the date by using a checkbox. 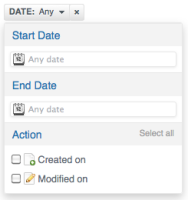 This means you can select documents that have been modify just at an exact time. Since we cannot select multiple values (XWIKI-9533) this facet is kind of useless. 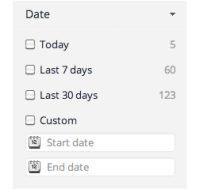 A nicer way to search for documents would be to be able to specify intervals when the documents have been modified (startDate and endDate).